Pink vinyl. 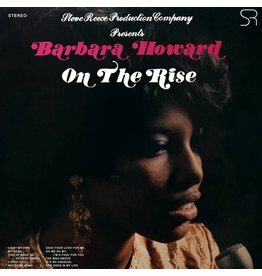 Barbara Howard's On The Rise is more than just another rare soul LP. It's a love story. It's a dream. It was an attempt to break through. Barbara Howard's On The Rise is more than just another rare soul LP. It's a love story. It's a dream. It was an attempt to break through.